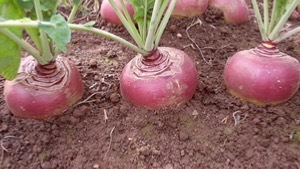 Swede Tweed new swede bred or chefs, cooks quickly and tastes great. Culture: Sow in May on good fertile land, sow at 12 inches apart in row 15 inches apart. Dust with insecticide powder in hot weather against Flee Beetle.